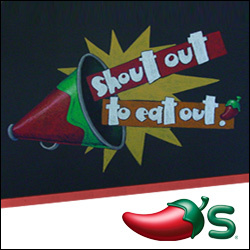 $20 Chili's Gift Card Winner! Let me first say that I am astounded by the number of entries on this giveaway! You must really love your Chili's! The winner of the giveaway is SAMMI! Thanks so much to everyone who stopped by and entered. I hope to have more giveaways very soon. 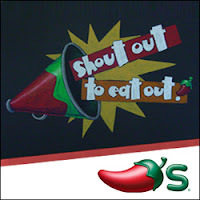 A very special thanks to Chili's ShoutOutToEat.com and 2wired2tired.com for making this giveaway possible!